Let’s hope March brings California much needed rain and snow. Also, be sure to join the Etc.Guy Facebook page and LIKE it. Or follow me on Twitter by visiting Etc.Guy. 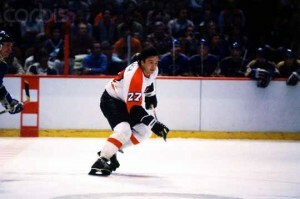 This entry was posted in Words of wisdom and tagged Central Valley Business Times, Chico california, Chico Enterprise Record, eric miller freelance writer, etcguy eric miller, hockey player magazine, national hockey league, norcal blogs, philadelphia flyers, reggie leach. Bookmark the permalink. A few of the images aren’t loading correctly. I’m not sure why but I think its a linking issue. I’ve tried it in two different browsers and both show the same outcome. Ӊello! A big thumbs up for this pоst. I’ll return soon. Admiring the commitment you put into your website and content. It’s great to come across a blog that isn’t the same old rehashed information. Excellent read! Hey there! I’m book-marking your site and will tweet this to my followers! Outstanding blog and fantastic design. Hi! Been surfing your blog, love reading it and look forward to all your posts! Keep up the superb work! Everyone loves what you’re up to. Clever work! Keep up good work. Wow! Thank you! Can I include a part of your post to my website? Hello, found your blog using msn. Good post. I be back to read more. Thanks for posting. Admiring the hard work you put into your blog and detailed information. Fantastic reading! Is it ok for me to grab your feed to keep updated with future posts. Thanks and please keep up the enjoyable work. It’s a shame you don’t have a donate button! I’d donate to this blog! I look forward to new updates and will share with my Facebook group. Talk soon!